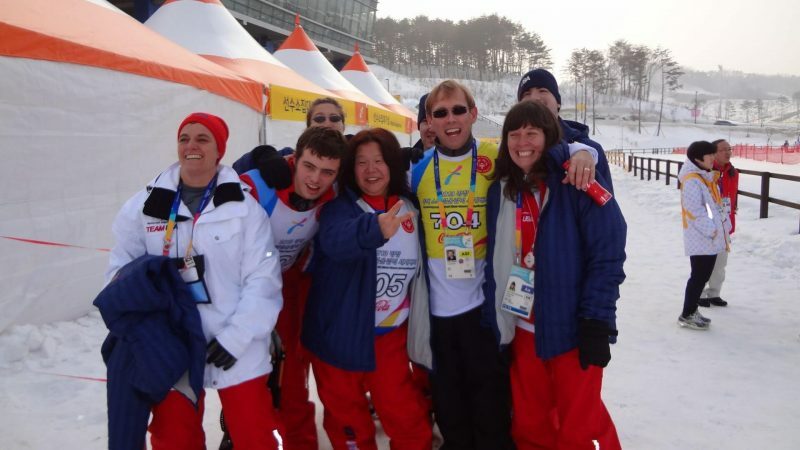 OKLAHOMA CITY – Olympic Gold Medalist Bart Conner flew to PyeongChang, Republic of Korea, in January to continue his passion and support of the Special Olympics at the 2013 World Winter Games. With approximately four million athletes in more than 170 countries, the Special Olympics is the world’s largest sports organization for people with intellectual disabilities. It all began when Eunice Kennedy Shriver had a vision for the fair and just treatment of people with intellectual disabilities. She pioneered a foundation where children could play, that focuses on the fact that people with intellectual disabilities can, and will succeed when given the opportunity. Conner, who serves as the vice-chair of the Special Olympics International board of directors, holds this life-changing organization near to his heart. During this year’s games, over 2,500 athletes competed in various winter sports such as alpine skiing, cross-country skiing, figure skating, snowboarding, speed skating, snowshoeing and other sports. Conner, a volunteer for Special Olympics for 33 years, had the opportunity to participate in a snowshoeing relay race in the new Special Olympics Unified Sports. The 2013 Special Olympics World Winter Games also welcomed other prominent legends, leaders and celebrities such as: Toby Dawson, Donna DeVarona, Dan Jansen, Michelle Kwan, Yuna Kim, Yao Ming, Dikembe Mutombo, Apolo Ohno, Sam Perkins, Karl Schranz, Trixie Schuba, Hannah Teter, Xhang Ziyi, Michael Tritscher and Yang Yang. For more information about the Special Olympics, please visit their website at www.specialolympics.org.